The band's founder has a penchant for obscure Fender guitars and a collection of pedals that aim to disguise the fact that they're guitars at all. "I'm interested in the symbiosis of opposites... Hard and soft, reality and fantasy, heaven and hell, angels and demons. It's a yin-yang thang." "Goth dandy James Scott is the bringer together and creator of The Vaulted Skies, not to mention lead guitarist / vocalist, songwriter extraordinaire and main haircut. James melds the theatrical whimsy of the 19th century music hall to the doom laden world of the modern comic book with smatterings of Tokyo neon in between. There is however a question as to where he derives his inspiration, he claims ‘The Cure’ and others from the Goth oeuvre, this aside it seems more likely (to me anyway) that he plucks the notes and words from the stars with the ends of his giant winkle pickers, perhaps from the very same sky Caroline slipped across?" "James is, well, at the risk of using a much overdone cliché, almost like the brother I never had. We don’t always see eye to eye, but in the same way it benefits so many other bands, I view this as a good thing. I have the upmost respect for James as a frontman and musician; he is an excellent motivator and is definitely the primary driving force of the band. When we’ve been rehearsing for 4 hours in a hot, claustrophobic room, James will somehow manage to convince us that one more run through of ‘Caroline’ is a good idea – I still don’t know how he does that." "James is the driving force behind and founder member of TVS. A close second for the ‘most equipment’ title, he is an unbelievably talented musician and songwriter and a true perfectionist. With a Gantt chart for every occasion, James is a meticulous planner and is regularly accompanied to rehearsals by a flip chart. His musical abilities and out-and-out professionalism regularly put me to shame, although my mid-song deliberate mistakes continue to regularly provide him with the opportunity to perfect his death stare. An awesome vocalist, super bloke, friend and worthy front man for TVS." "The Vaulted Skies leader, singer and songwriter, I first met James around 8 years ago attracted by the vision of a band playing atmospheric new wave music with obvious influences from the late eighties/ early nineties but taking this music further. 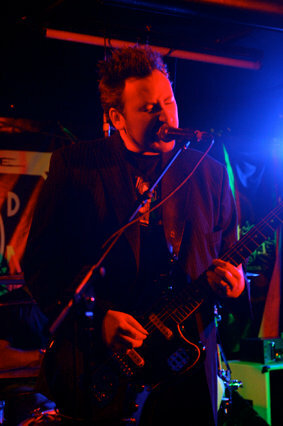 A great guitar player singer and songwriter, James gives voice and life to the mini plays and visions within each song. We share a similar vision of how music can be much more than a bunch of guys playing in a pub.... Watch this space for gigs in unusual places! 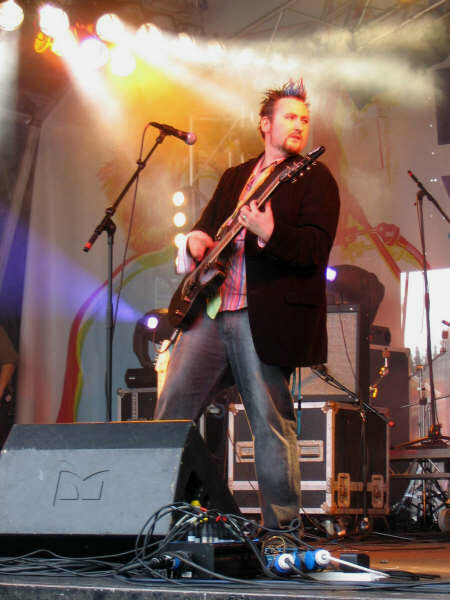 James has a quick wit, good sense of humour and high level of professionalism and dedication, making it a genuine pleasure to take on wingman guitar duties and be part of the Vaulted Skies crew."